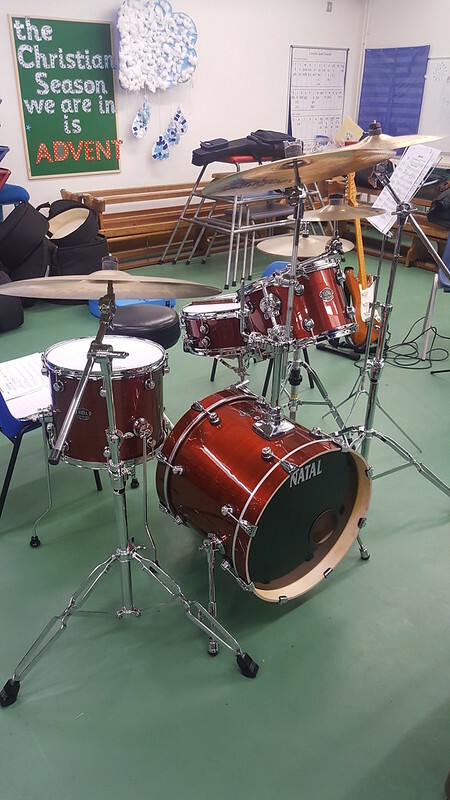 Thanks both for your reviews and advice, now I'm leaning more towards the Arcadia as its more versatile and would be a better option should I need a small kit for performances e.g. in a park/band stand. I already have all even sizes of drum bags (8 thru 20). I went along to the big band rehearsal, they liked what they heard and will invite me back for more so that's great news. I hadn't played swing time for nearly 30 years and have a few things to practice. 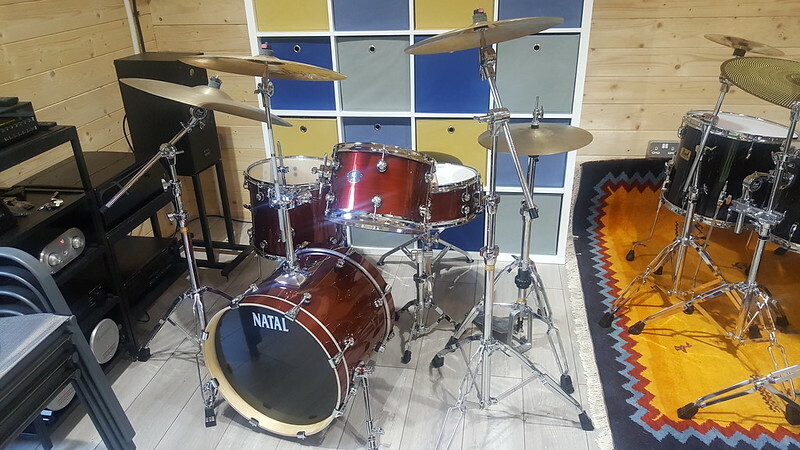 I saw a Natal Arcadia Birch Jazz/Bop kit for sale locally, in a great colour and at a very good price, so picked it up on Thursday. I think it looks really cool. Its hardly been played, I tore it down, dusted it and put the heads back on and tuned them a bit. It doesn't sound half bad even with the stock UT heads so will keep these on for a while, may be change them for UV1s and an EMAD on the bass. We'll see. 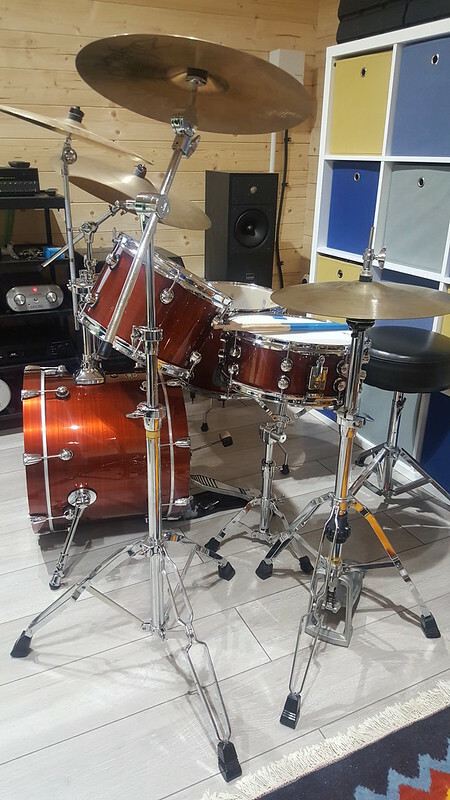 I'm using my old 30+ year old cymbals at the moment: 14" new beat hi hats, 21" ride, 16" medium crash and a 17" (I think) paper thin crash mounted from the tom holder. HaHa my SRX floor tom is actually bigger (deeper) than that bass drum. Really enjoying this Arcadia kit, the Mapex BD riser is a great addition for the 18" BD. Rehearsing with a 17 piece big band in a primary school hall. Its also just the right size to fit snugly in my car boot.